You can also setup specific business operating hours for each SLA policy. This will allow you to leverage your customer support, and at the same time maintaining your standard of performance as a company. Setting up your business hours. 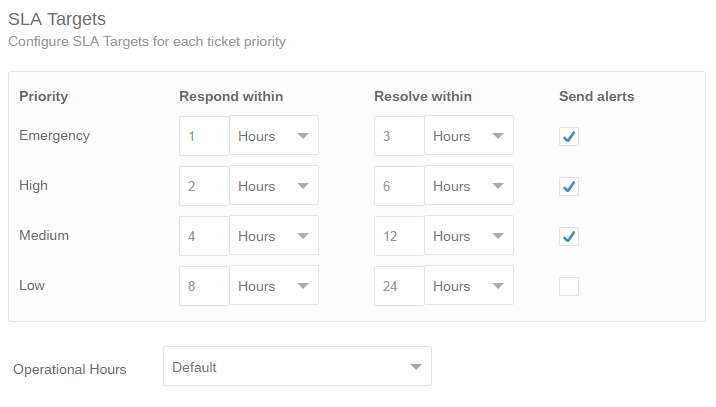 Trakdesk lets you configure separate SLA targets for each of your ticket priorities such as; Emergency, High, Medium and Low. You can also setup to receive alerts by selecting the Send alerts option for each priority. Respond within - This is the maximum time allowed for an agent to respond to new tickets in your helpdesk. Resolve within - This is the maximum expected time you think an agent should take to resolve a ticket in your helpdesk. Note: For each priority, the Resolve within time must be greater than the Respond within time, ordering from lowest to highest intervals. SLA policies and business hours works hand in hand. For example, if your business working hours is between 9am to 5pm Mon-Fri and a customer logs a high priority ticket ( which has a Respond within time of 2 hours ) at 7pm on Wednesday, the SLA violation notification will not execute until Thursday morning at 11am. Setting up your business hours. Holidays are exclusions to your business operational hours, the days as to which your business is not operational. For example, let's say Thursday, (from the example above) is a holiday, then the SLA violation notification will not execute until Friday morning at 11am. Managing your holidays exceptions. Trakdesk lets you setup conditions so you can customize each SLA policy and specify when they should be enforced. You can setup a variety of conditions with multiple values allowing you to tailor your SLA's to specific ticket channels, customers and even departments. 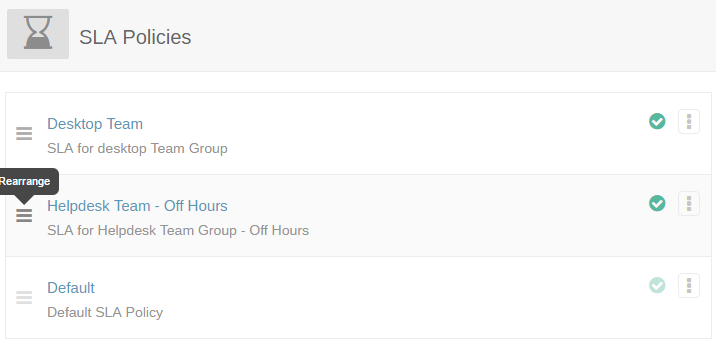 For example, you can add the Source condition with values; Email and Portal, and Company with value; CloudSky. This means the policy should only be executed if a support ticket was created by an email or from your customer support portal and the requester company is Cloudsky. Setting up SLA violation notifications for specific ticket statuses. Note: With the exception of your default SLA policy, you must setup at least one condition for each additional SLA policy you setup in your helpdesk. With SLA violations, you can setup automatic email and SMS notifications with multiple intervals so you are always alerted when tickets in your helpdesk requires your attention. Managing your email notifications templates. Respond within - This SLA violation is an alert to let you know that a ticket in your helpdesk has no agent response. Resolved within - This SLA violation is an alert to let you know that a ticket in your helpdesk has exceeded its expected resolution time. This violation will reflect in your SLA violation reports. Note: To use the SMS notification feature, you must install and configure the Twilio SMS app from the marketplace. 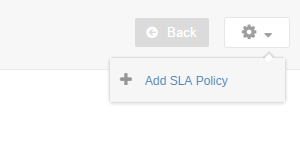 Select the SLA Policies option. At the Top Right of the page, click on the drop down menu and select Add SLA Policy. On the Add SLA Policy page, enter a name and description for the policy. Configure your SLA targets and when it should be applied. Setup your SLA violations and click on the Submit button to save the new SLA policy. Because SLA policies are executed on a first match, first execute bases, the order of your SLA policies are important. You can reorder your SLA policies by dragging and dropping them to the order you would like them to be executed. Note: The default SLA policy cannot be disabled or reordered.